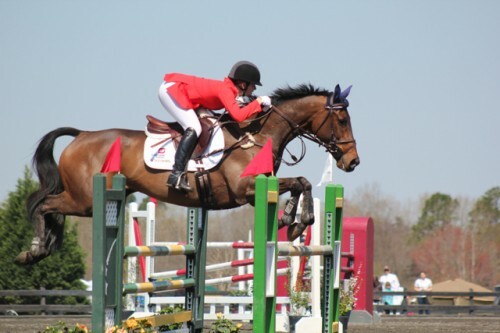 Lynn Symansky and Donner, the winners of the CIC 3* at The Fork yesterday. Photo by Samantha Clark. Good morning, readers! 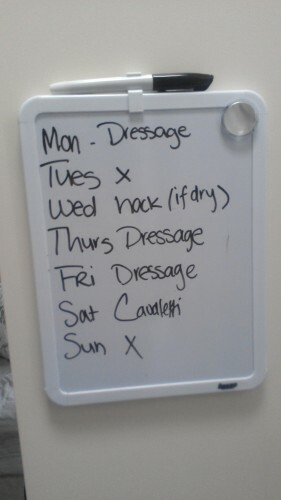 We’re heading into the second full week of April, which means that your barn is probably covered in shedding horses’ hair, and you’re getting a better idea what your competition schedule and goals will actually look like this year. I hope everyone enjoyed all the coverage frm The Fork this weekend, I’m looking forward to that kind of quality and quantity of coverage going into Rolex. 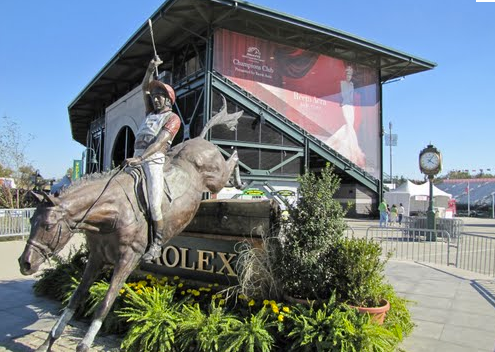 David O’Connor talks to Practical Horseman about horses and riders to watch at Rolex. Apparently Rolex might be early for Mighty Nice. Or maybe not. Either one. Hawley Bennett-Awad and Gin & Juice winning the CIC 3* at Galway Downs. Photo by Bill Olson. Good morning, EN nation! I’m still on a post-event hangover; yesterday my horse Plaid and I had our first outing of the year at Morven Park. It appears that during the winter my horse has a) gotten more fit than any 20-year-old horse should be and b) developed a penchant for sick mind games. 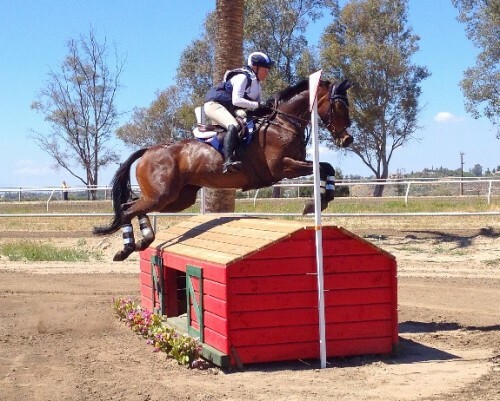 He had a personal-best dressage score and a wonderful stadium round, then decided that galloping on XC was too much darn fun and happened to gallop past a couple of fences that we were supposed to, er, jump. That’s okay, though; he jumped beautifully and after some bit shopping, I’m sure we will be ready for Plantation in a couple of weeks. Major props to former EN writer, and one of my good friends, Abby Gibbon, for winning the Open Training division on her mare Prima LGF. Those two are amazing, and after not competing for almost a year due to soundness issues, and dropping down from Prelim for their first outing, they picked up the blue against a stacked field. 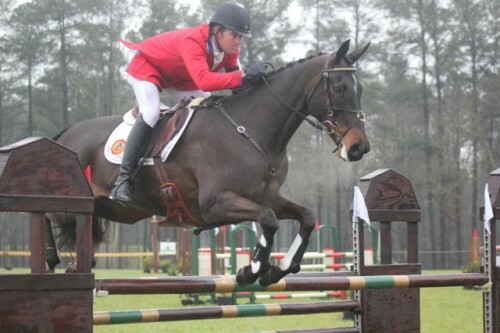 Will Faudree and Andromaque won the Advanced Division of Southern Pines this weekend. That girl so classy. Photo by Samantha Clark. Good morning, EN readers! It truly feels like the event season is on the cusp of hitting its stride (no pun intended), and reading reports from Southern Pines, Poplar Place, and Fountainbleu on the continent makes you realize how far into it we are. I’ll spend this week with a plan leading up to Morven, our first event of the season. And by ‘plan’ I mean, try to ride as much as possible and hopefully clean my tack and oh crap, should probably find my cross-country boots. Good morning, readers, I hope all of you had wonderful weekends. My horse and I had the chance to go to the Marlborough Jumper Derby in Rosaryville State Park on Sunday. The forecast was 47 degrees and rainy, however, it turned out to be 60 and sunny! Perfect weather to knock the rust off over a friendly course of cross-country and stadium jumps. It was a big confidence boost for us; welcome after a winter of mixed signals. We now feel truly ready to go out and tackle our first event of the season in a couple weeks. And, if you’re in the MD/VA area, they’re holding another Derby on April 6! They’re a lotta fun, so don’t miss it. 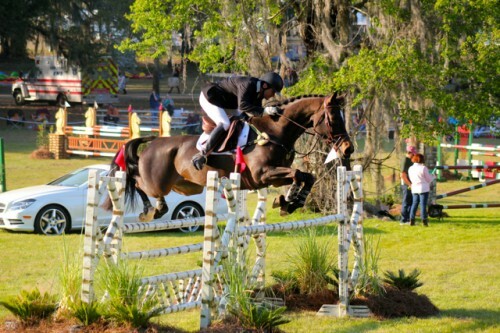 Phillip Dutton and Mighty Nice won the CIC*** at Red Hills yesterday. Well it’s that time again, Monday morning. I know all of you probably thoroughly enjoyed all the coverage from Red Hills this weekend, as did I. There’s something about that competition, once it’s over everyone truly starts to look forward to Rolex. Kentucky is on the lips, and minds, of most riders aiming for the event whether as competitors or spectators. As someone whose confidence is maxed out at the lower levels, I’m truly enjoying seeing who is going to be a contender, as well as keeping my eye on a couple of dark horses (no pun intended) that might come in under the radar. Hawley Bennett Awad and Gin N' Juice won the Advanced division at Twin Rivers. Photo by Bill Olson. Good Morning, readers! I’m sure we’re all still a little stunned at the news from Portugal, where veteran eventer Bruno Bouvier died during the cross country phase during the CIC** Barroca D’Alva on Sunday. It’s a sad and unnecessary reminder of how dangerous our sport can be, and how even the most experienced riders can have horrific accidents. I’m sending all my good vibrations over to France this week, and if nothing I hope we can learn something from this incident so no family has to feel like they’re saying good-bye at the start box. Love this video from the 1989 Loudoun Hunt Pony Club Horse Trials. Good morning, and happy last Monday of February! Hopefully with the end of the shortest month of the year also brings the end of the dreary, bone-chilling weather we’ve been experiencing on theth East Coast. I’m sure the riders at Pine Top were thinking the same thing as they braved some treacherously wet conditions to make the Georgia event a success. Happy President’s Day, EN readers! I hope you all have the day off from the office, and have plenty of time to go hug your ponies in the light of day. All I really want to do is curl up under the covers (it’s a chilly 25 degrees in DC right now), but after looking at the calender and realizing that our first event is a little over a month away, I’m going to put on a few more layers and go get some schooling done. Over the weekend we participated in a gymnastics clinic, one that included a few obstacles like a tarp in between two poles to simulate a ditch, and it did not go well. My normally confident horse has warped into his true winter self; nervous, edgy and a bit naughty at times. Here’s hoping with the end of winter brings the end of misbehavior. 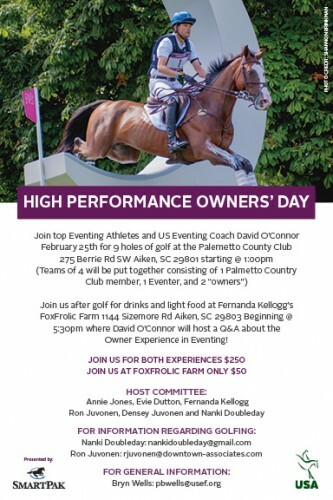 The Eventing Owner’s Task Force is organizing a High Performance Owner’s Day on February 25 at FoxFrolic Farm in Aiken. The forum will be hosted by David O’Connor, and is an opportunity for potential owners to learn more about the process and benefits of investing in eventing. 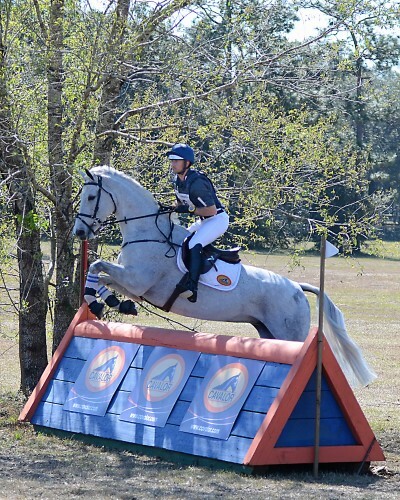 Michael Pollard and Schoensgreen Hanni won their Intermediate Division at the Ocala Horse Properties HT. Good morning, and happy Monday EN readers! I’m sure some of you were lucky enough to be competing at Pine Top and Ocala his weekend, and I hope your weekend was safe and rewarding. I spent Friday celebrating my horse Plaid’s 20th birthday, and getting quite sentimental in the process. He’s as fit as he’s ever been, looking stunning and acting much younger. I feel so lucky that after so much time together we have the opportunity to explore new avenues together. It’s a testament to how much I adore him that I could feel this way even after a debacle with a chevron on Friday. I’m currently trying to decide if I need to forget about them, or focus exclusively on them. Ah, the toss-ups of riding neurosis. 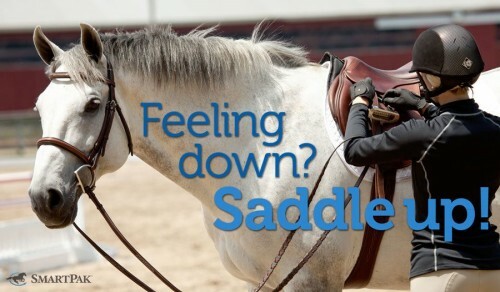 Yes, it's an inspirational photo from our friends at SmartPak. Sometimes we need it! Happy first Monday of February! 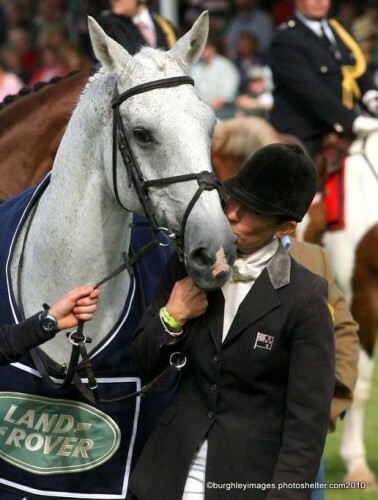 The arrival of February has no doubt sent many eventers into slight panic mode, how did we get here so fast? While it’s exciting that for most of us the season is just around the corner, for some of us less-prepared souls, it’s all about trying to fit in lessons and fitness time to make sure we’re all ready for the first event of the year. I was recently sidetracked by yet another nasty cold (I blame the 70’s one day, snowing the next climate in Washington DC), and have been out of the saddle for the last four days. Hopefully you’re all faring better! Badminton will be here before you know it! Enjoy this 2011 ride from Paul Tapner, along with excellent commentary. This was me two days ago. Good morning, everyone! I hope you’re enjoying your last week of January. I’m still trying to recover from a nasty fall during a gymnastics clinic on Saturday. I’m not usually rattled much by mishaps, as I think they’re part of the learning experience, but this one hit me hard, and definitely pushed some doubts into my mind. 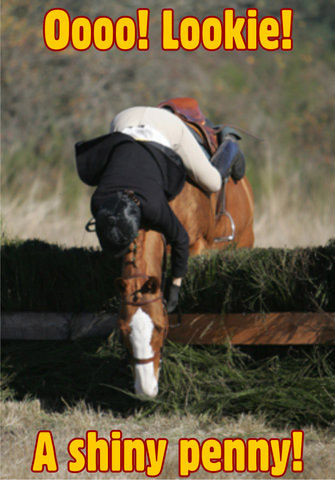 My horse didn’t like the look of two bounces in a row, and put the brakes on hard after a bad 2nd jump. Unbalanced, he went into the jump, and in a panic began backing up, only to run into the jump behind him. From then on it was a lot of spinning, until he finally escaped the grid and went on to gallop with me hanging on his neck. I wasn’t able to get my balance back, and bit the dust. After a bout of crying, mostly from the fear, and a lot of Lamaze-type breathing exercises, and with the help of Samantha, our clinician, we worked our way through the grid, and ended up having a decent lesson. Now if I could just get rid of the bruises and soreness as easily! 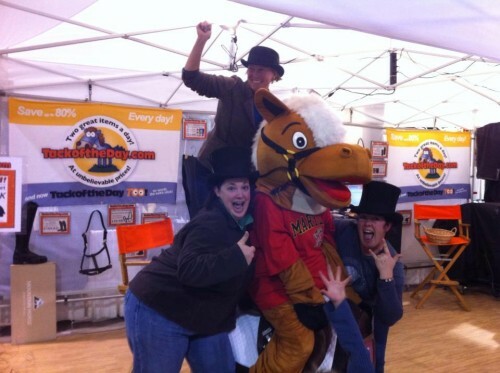 Colleen Rutledge rides 'Terpetariat' at the Maryland Horse Expo. I'd like to see them tackle another 4* course. 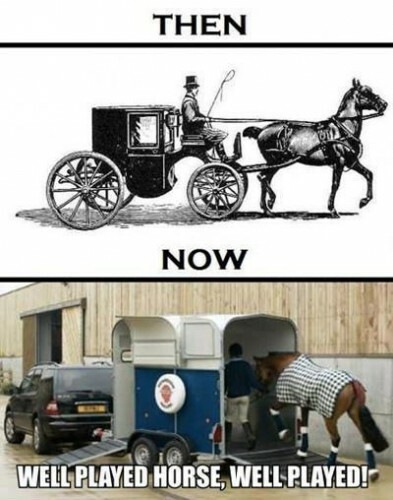 Photo via Tack of the Day. Good morning, and happy Inauguration day! 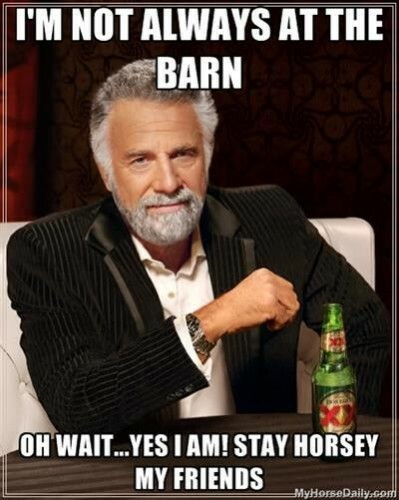 For those of you not in the DC area, you’re probably able to leave and go to the barn today and yesterday. However, we who reside in the nation’s capitol have bunkered down over the past couple days, unwilling to venture out onto crowded roadways and unable to decipher which roads are blocked and which ones are free. I am lucky enough to have tickets for the event, and will be braving the cold to get a glimpse of our president getting sworn in for the second time. Video of the Day: I’m sure Suave Jazz, a member of the Retired Racehorse Training Project, is not going to have any trouble finding a new home. This guy is gorgeous, and has talent for days. Sorry if this has been shared before, but it's how I feel after getting the latest round of eye-affected vet bills. Well folks, it’s only the second Monday of the new year, but it already feels old. Maybe that’s just me, call it a quarter life crisis, or just the off-season blues, but I personally can not wait until the first event of the year. Although, judging by my horse’s quality of both dressage, jumping, and overall personality, we have a lot to work on before then! It always works. 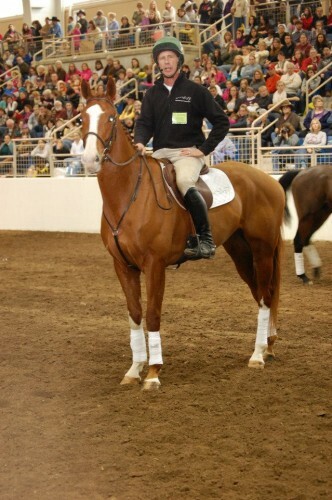 Photo via SmartPak. Happy Monday, EN readers! The first event of the year is officially over, so if you’re lucky enough to be in Florida, I hope you enjoyed your weekend of competitive action while all of us poor souls in the Northeast are looking at your sunshine laden photos with great jealousy. My plan for last week was depressing, mainly because it in fact was NOT dry. 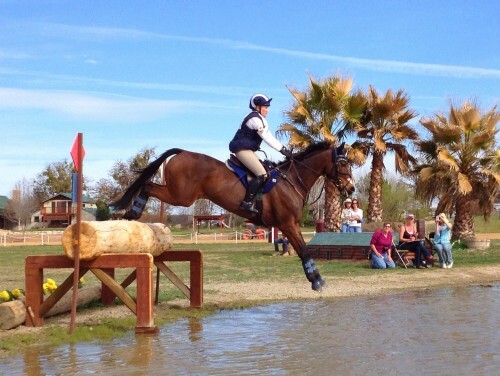 This is a series written by me, about me, and my return to eventing. We’ve (that’s me and my horse Plaid who has been chronically lame for 5 years) been away awhile, so sometimes we need a little help with the unknowns. Read Part I, Part II, and Part III if you so desire. Since we last spoke, we’ve made some changes in our routine. The biggest is the move we made to Allen and Clover Sport Horses, where hopefully they will help us polish our edges and by that I mean not look like such a hot mess in all three phases. Being around quality horses and riders all the time is an inspiration, and a little intimidating, but I think will help us in the long run. Before I started eventing again this year, there was no off season. There were cold months, when you rode less and prayed for sunny days, but there was no planning. 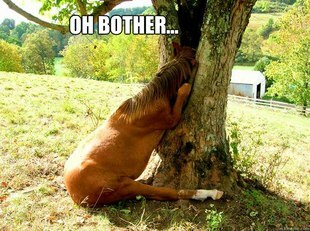 So, as someone who would like to keep riding in the winter, and keep my old guy fit (do you know how hard it is to RE develop some sort of topline on a 19 year old–20 in February!–OTTB that has downhill tendencies? ), I have some questions! 1. Is it normal to get choked up when you come across your pinney from the last event you did? 2. How do you avoid motion sickness when trotting endless 20 meter circles in the indoor? 3. How do I explain to my family around Christmas that $600 for custom boots isn’t THAT much? 4. It’s 60 degrees in December in Area II, does the last event really have to happen the first week of November? 5. Are the other eventers at my barn judging my horse’s poorly executed trace clip? 6. My horse tripped over a log on the trails the other day, does this mean he’s forgotten how to jump cross country? 7. Did someone forget to send me the memo about eventers wearing air vests during jumping lessons? 8. Now that 3′ fences look small again, does this mean I’m ready to move up to training? 9. Do you think my horse would be terrified if I showed him my plans for next season? 10. I finally got my photos back from the last event, how did the photographer NOT get me almost falling off in stadium?! I was really looking forward to using that in a post. Happy day before 2013 EN readers! I’m hoping the new year brings around a healed eye ball for my horse Plaid, as my lower body muscles are getting jiggly from lack of time in the saddle, and I can see his topline disappearing with each passing day. When your horse walks away just as you’re putting your left foot into the stirrup.. #EquineDilemmas. I'll take one that doesn't require eye medication please. Good morning, readers! Christmas Eve is upon us; I hope you’ve all done your holiday shopping and are cozy around a fire with a warm beverage. If it were me it would be a Baileys and Kahlua with a splash of coffee. On my way into NYC yesterday to celebrate Christmas with my boyfriend and his parents, I got a call from the barn. As I entered Lincoln tunnel, an upbeat Arcade Fire song on the radio, a sweater and scarf on, preparing to revel in holidays in the greatest city on earth, I learned that my horse just came in from the barn with an eye that was swollen shut. After much vetting, it was discovered he had an ulcer on his cornea (I think I heard that right, I was moaning a lot), and he has to have cream applied 3-4 times daily until the swelling goes down. The only thing I was seeing in my head were the beautiful Frye boots I was going to buy myself with my Christmas funds disappearing in a cloud of vet bills and hold charges. Merry Christmas to me! Bruce Davidson and Eagle Lion statue at the Kentucky Horse Park. Photo via Equestrian Life's FB page, as my picture with the statue features me with bangs. Good morning, fellow eventers! So begins the last week before Christmas, and I hope you’re not stressing too much. I actually haven’t even begun to shop for anyone yet, strangely it seems that every time I try I find myself back on Dover and Smartpak, checking out personalized saddle pads and full seat winter breeches. Oh if we could just buy ourselves the things we really want. How I'm guessing most of us feel this morning. Photo via Smart Pak's Facebook. Happy Monday, EN readers! It’s been a busy weekend for me, I moved my horse Plaid into new digs at Allen and Clover Sport Horses in Brandywine, Md, so we could train full time under the watchful eye of people who actually know what they’re doing. Plaid already has a girlfriend in the form of an adorable Paint mare named Kahlua, which has become very serious in a short amount of time. I feel like the mother of a girl going out with a tattooed guitarist, enforcing separation so things don’t get out of hand. 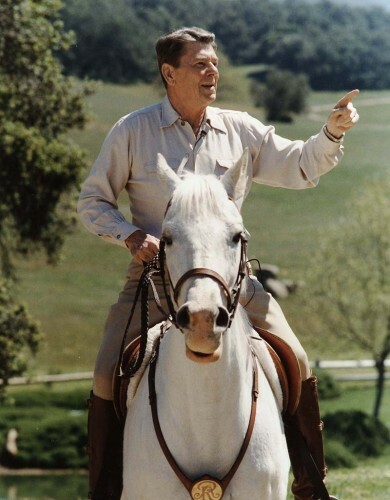 Sorry, but our dressage is already sad enough without him screaming at the top of his lungs. Based on this video I really want to take a Stephen Bradley clinic. 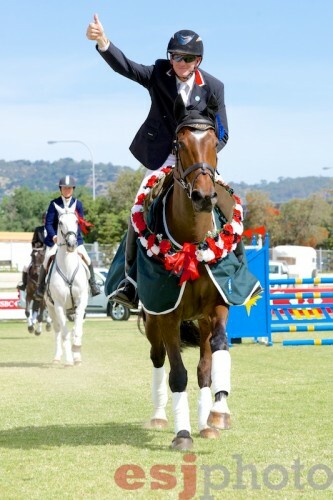 Craig Barrett and Sandhills Brillaire Champions of the 2012 Australian International Three Day Event. Oh god, is it Monday already? This time last week I was preparing to visit my family in Kansas City, and embark on a week of eating that is almost too shameful to vocalize. The unfortunate part about not visiting friends and family enough, is being pulled in too many directions. On Thanksgiving Day I had to go to THREE dinners. Well, one brunch and two dinners. I was not happy about it. Yes, having people cook for me on three different occasions is nice, but I’m more of the ‘shovel it in until I hate myself then take a nap’ than the ‘eat an appropriate amount at each meal’ kind of person. I exercised what was extreme caution on the portion sized front, that is, until I got to the green bean casserole at the final dinner. Then, I went to town until I realized all my hard work had been undone. I was disgustingly, unavoidably, full. ‘Tis the season to have absolutely no idea what to get any of your friends or family, for the umpteenth year in a row. Every once in a while you find the perfect present, but especially for horsey friends, the pressure is on. Obviously you’ll be purchasing something horse-related, but does it have to be pink and have a fat pony on it? 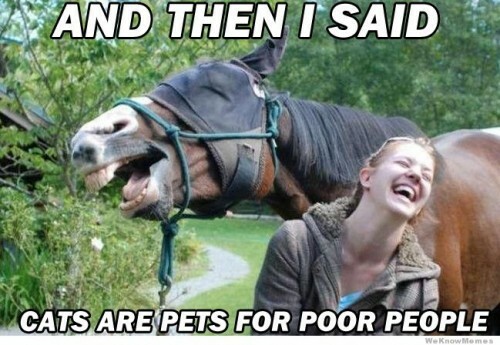 We here at Eventing Nation say NAY! That’s why this holiday season each one of our impressive staff writers is picking one unique, amazing, thoughtful and clever horsey gift to help you along during this time of stress. Happy holidays! 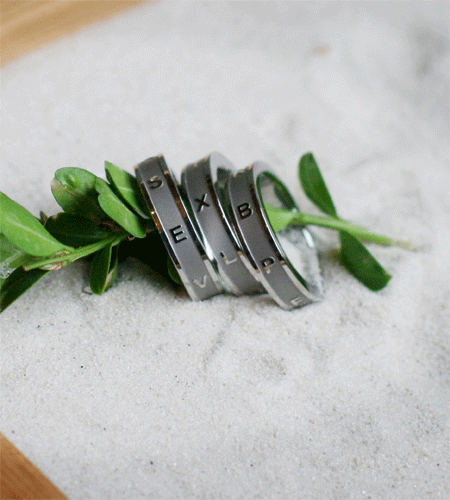 The gorgeous 'Centerline Rings' from Jumpline Designs. Okay EN, it’s my turn to tell you what I want for Christmas. In addition to my absolutely stellar (and absolutely too lengthy) Smartpak wishlist — which includes high-dollar ticket items I will never receive, like new tall boots, custom safety vest and Amerigo jump saddle, and ones I don’t feel like going to get at the tack store, like wormer, Show Sheen and Thrush Buster — I found something someone might actually want to leave under the tree for me. 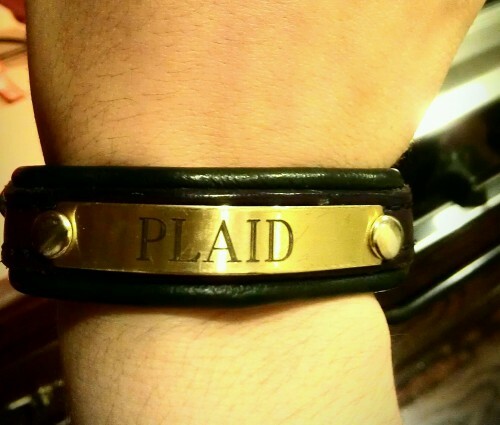 Jumpline Designs, an Oregon-based company, is making jewelry that I wouldn’t be embarrassed to wear out in the trendier parts of Washington, D.C., although, hey, I wear my horse’s nameplate bracelet everywhere I go. The reason I love the Centerline rings and bracelet is simple. Number one, they’re gorgeous, classy, and make a statement. More importantly, any time I forget the layout of a dressage arena, which is always, they’re there to remind me. Seriously guys, I can enter at A and go to C and I still don’t know if I’m looking for B or E. Sorry. Which one do you like better? I think I can guess. When it comes to equestrian-themed jewelry, there’s no lack of a market. Equestrian-inspired items are everywhere — from horse shoes to stirrups and everything in between — but these have the mark of someone that knows horses, the horse world, and what we want from jewelry that reminds us of the barn. It’s jewelry that’s classy, beautiful, and wait for it … affordable! The Centerline ring is $49.95, and the bracelet goes for $79.95. Not too bad for people that spend hundreds of dollars on saddle pads. 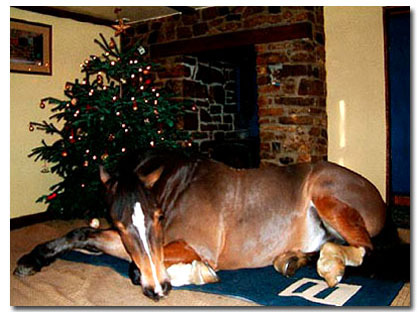 As horse people, we usually want to see that big box under the tree. We want the tailored coat; the new cross-country boots; or a beautiful, durable turnout blanket. The box this comes in might be small, but it will make just as big of an impact. 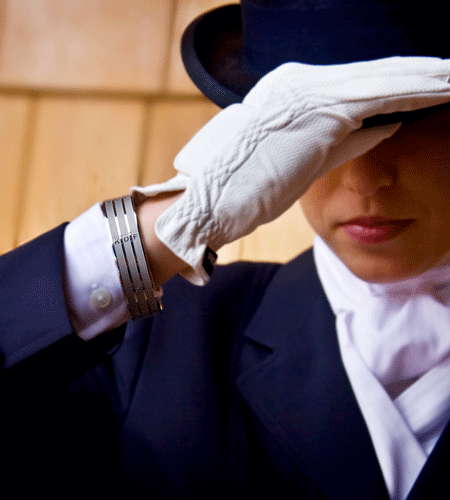 Jumpline also makes a horseshoe nail ring — for those of you who don’t even want a dressage ring anywhere near you — and rings and bracelets designed as jump poles. Now, if you’ll excuse me, I need to drop this into my mom’s inbox. She’s going to be so happy I didn’t ask for stirrup leathers. To order these, and find out where you can purchase them, visit Jumpline Design. The jump pole rings from Jumpline. Also available as bracelets. 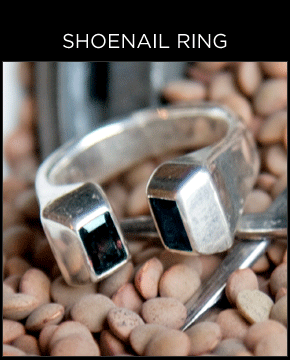 Horse shoe nail ring. I love the seamless elegance of it. 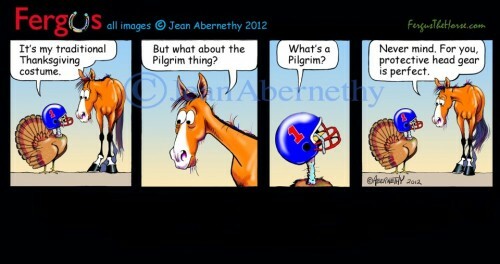 Happy Thanksgiving week everyone! Everyone that knows me knows this is my absolute, number one favorite holiday. I’m not a fan of birthdays, turn green and hairy around Christmas time, and get nauseous the second week of February, but a holiday centered around eating and being around friends and family? I’ll take two! This year I’m thankful that my 19-year-old horse Plaid is sound enough to eat up the 3’3″ course I set up this morning. I’m thankful that I’ll soon be moving barns in order to fully immerse ourself in this journey we started this summer when we took up eventing again. Lastly, I’m thankful every day that I have had 9 wonderful years with my partner in crime.